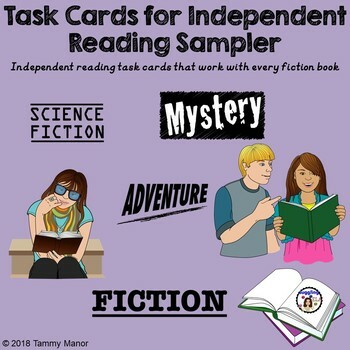 Enclosed you will find 12 free task cards that can be used with any fiction book. Students will write responses to the prompts on the task cards. The writing prompts can be used with any fiction book. You can have students use the cards individually or in a group. I would print them out on card stock paper (either white or colored) and laminate the cards. You can put them on a ring and give each student or each group of students one set of cards or you can leave them loose and give each student or group of students some of the cards. Either way they're great for differentiation. ✽I've included a rubric that I use that will help simplify your grading. Please download the preview and if you have any questions feel free to ask.